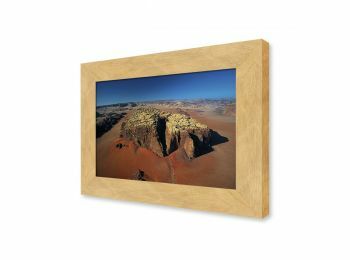 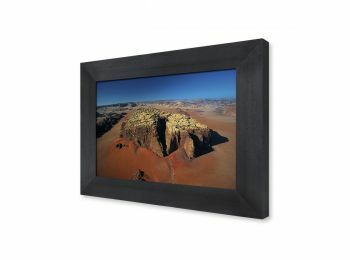 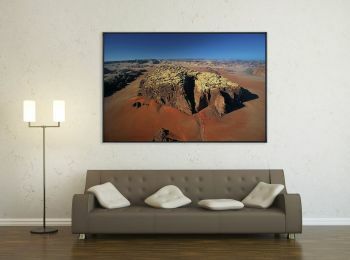 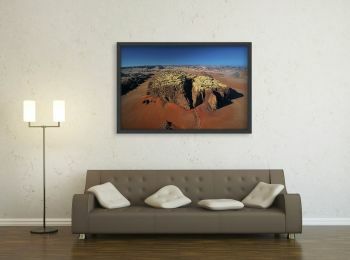 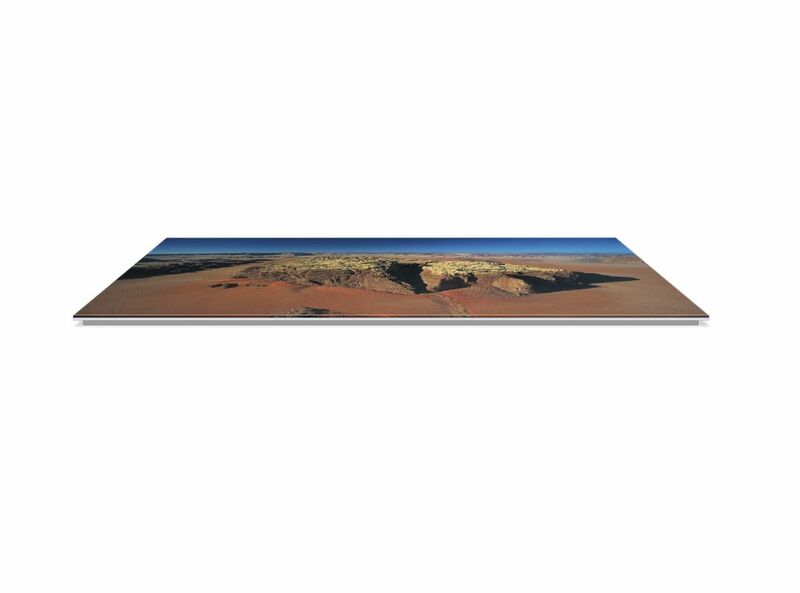 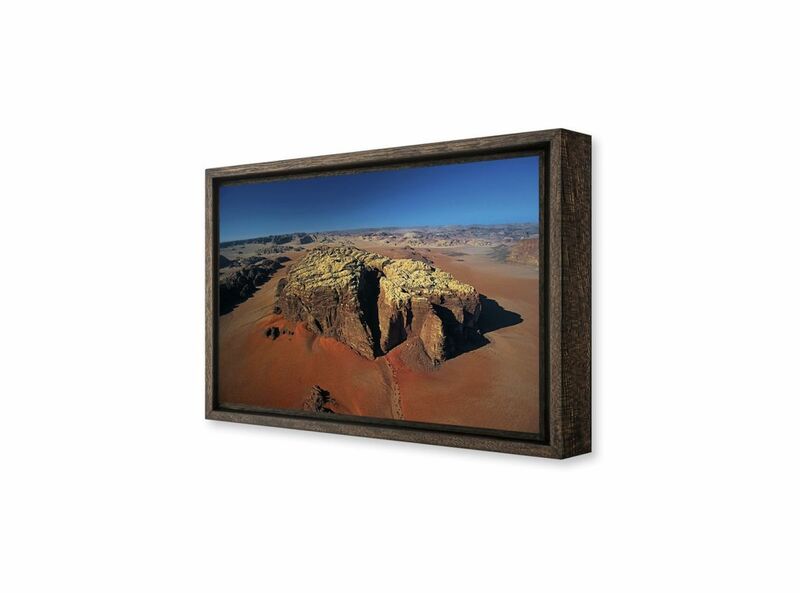 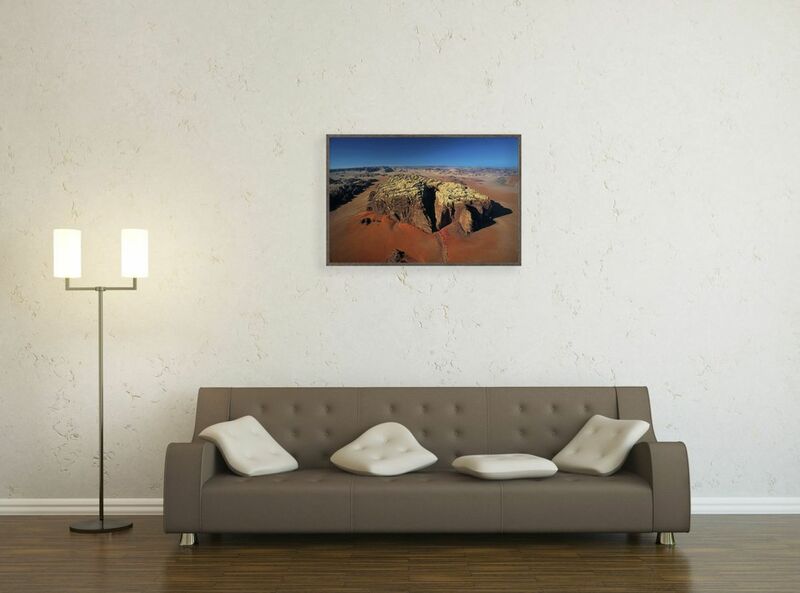 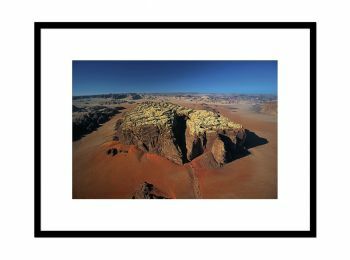 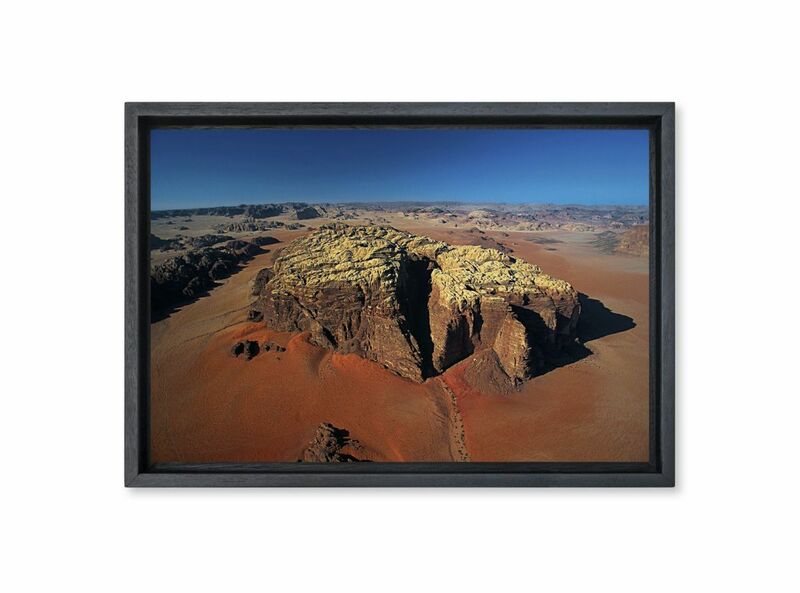 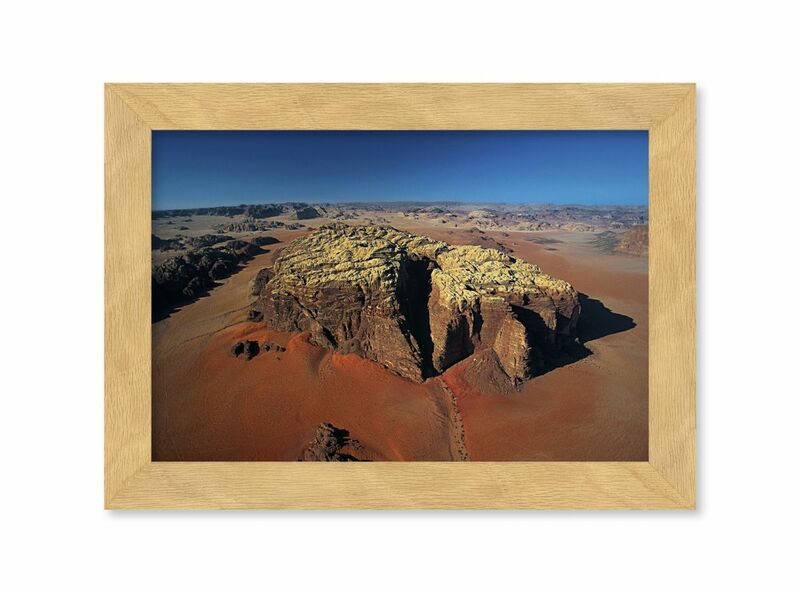 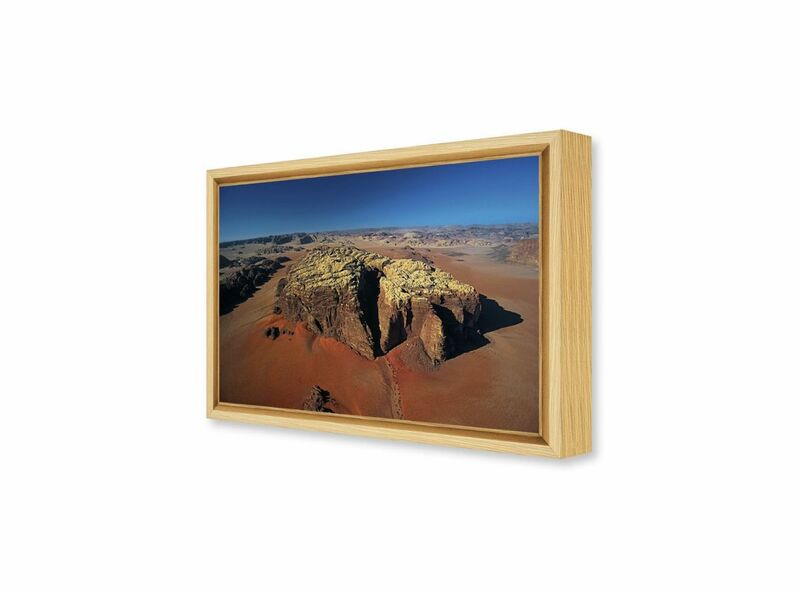 Art Photography by Yann ARTHUS-BERTRAND, mountainous landscape, Wadi Rum, Ma'an region, Jordan. 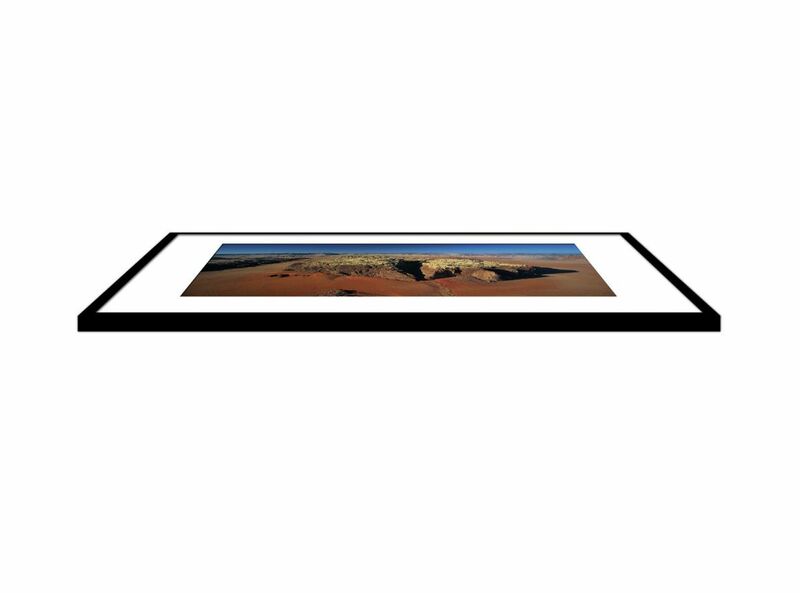 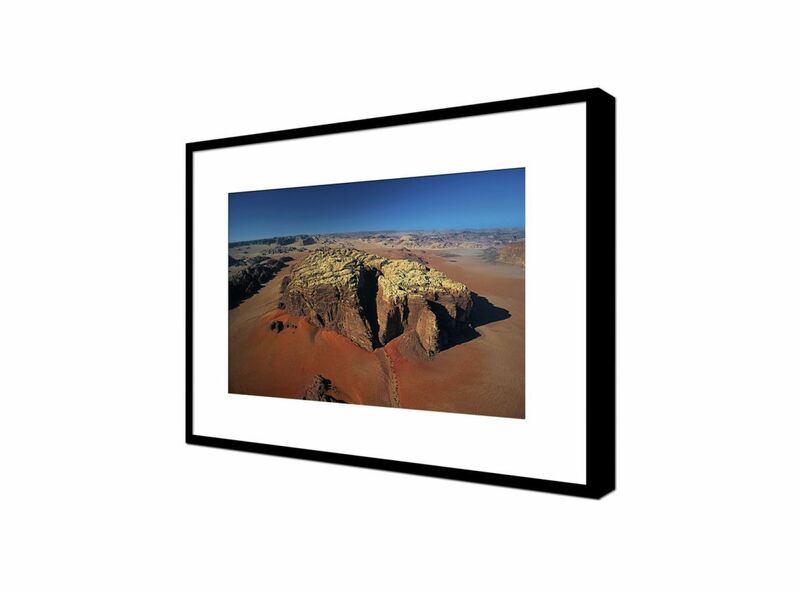 Wadi Rum, the longest wadi in southern Jordan, has given its name to this region. Its peaks, blond dunes, and cliffs tinged with ocher, red, and violet, were described with crushing grandeur by Lawrence of Arabia. 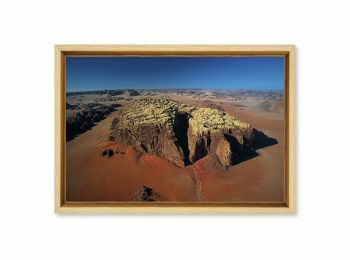 Wadi Rum, the longest wadi in southern Jordan, has given its name to this region. Its peaks, blond dunes, and cliffs tinged with ocher, red, and violet, were described with crushing grandeur by Lawrence of Arabia. As a young sublieutenant, Lawrence led the English support of the great Arab revolt against the occupying Ottoman Turks, which began in this region in 1916. The rock monuments of the desert abound in mysterious inscriptions. Since ancient times the region has been an important corridor for nomads and traders in spices between Southern Arabia and the consumer region of the Mediterranean. 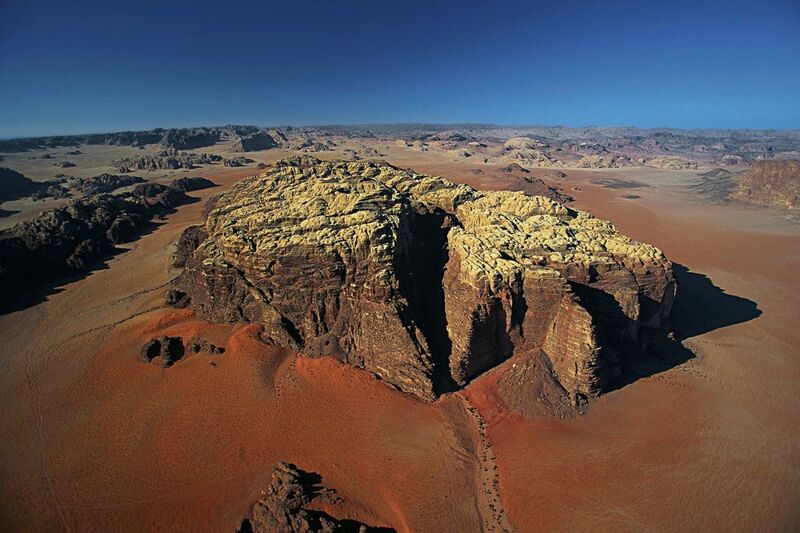 The Nabataeans of Christ’s time have yielded to today’s Haoueitate Bedouins. 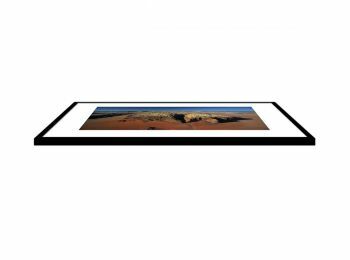 By designating the 510 square kilometers (185 square miles) of Wadi Rum as a natural reserve in the 1980s and entrusting it to the Haoueitates, the Jordanian authorities were not simply obeying ecological imperatives, but also aiming to make this Bedouin tribe sedentary.